Rock The Boat Zumba Cruise - Just Announced! 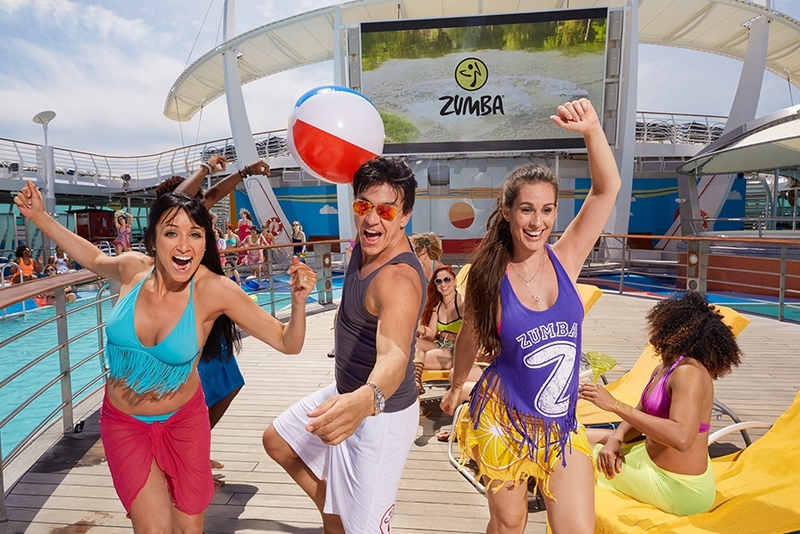 Now you can dance your heart out on water because Zumba just announced that they've teamed up with Royal Caribbean to create the first ever Zumba vacation-cruise experience. Check out the video below! If you're a Zumba fanatic, you should know that the cruise doesn't set sail for another 7 months from Fort Lauderdale, Florida but at least you have some time to plan, right? So mark your calendars for January 25th, 2016! It's a 5 day adventure and my sources are telling me that there will be 130 of the most famous Zumba instructors onboard including Beto Perez himself. Every class will be set to live music and DJ's. And just in case you stop dancing to see where the hell you're going, the cruise will be sailing to Falmouth, Jamaica with a stop in Labadee, Haiti for a private live concert featuring the hottest Caribbean artists. It's not ALL dancing though, you'll still get to enjoy the luxuries of being on a cruise. Then again, I've been to Zumba conferences in Miami before and the level of energy these people show up with is CRAY! I think I'd need a speedball to keep up. I'm kidding of course (not really), but who knows, this might be the pick-me-up or healthy booze cruise your life needs. I have mad respect for Zumba as a workout. I just wish I didn't knock people over whenever I try it. I'm a much better observer than participant...and it really is so fun to watch! What i love about Zumba is that the people who do it always seem SO HAPPY. This was the last music video Zumba put out that made me smile ear to ear. Aidan Prince, the little kid dancing in it, is so adorable. I've hired someone to kidnap him for me.